AU $420,000	Now reduced Need Finance? AU $420,000	Now reduced Need Finance? Need Insurance? 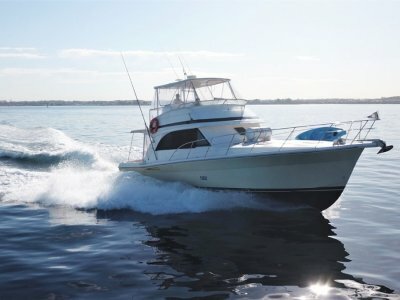 Built by Maritimo Australia on the Gold Coast, this is a huge vessel in a 43 foot package! Highly specified and extremely well appointed throughout with quality fitting and exceptional engineering. There is simply no reason to look past these Mustangs, with true Maritimo DNA on display throughout the vessel. The signature modern aft galley creates full use of this beautiful vessel allowing the cook access to both the saloon and saloon deck. With a generous master stateroom, side VIP Cabin, single bunks and fold out lounge this vessel can berth 8 passengers overnight with ease. Find me another 43 foot vessel with this accommodation layout, you simply can't beat it. 3 Cabins, 2 bathrooms including the master en suite. 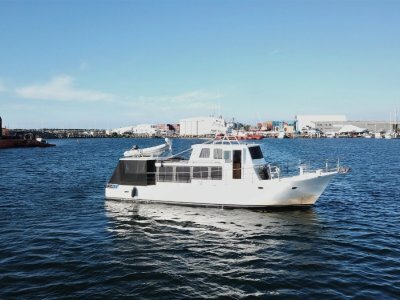 Powered by Volvo IPS600 engines with joystick piloting, this vessel also boasts ducted reverse cycle air conditioning, a fully equipped galley, audio visual system and Furuno electronics. The saloon is spacious and tastefully styled, as is the rest of the vessel. 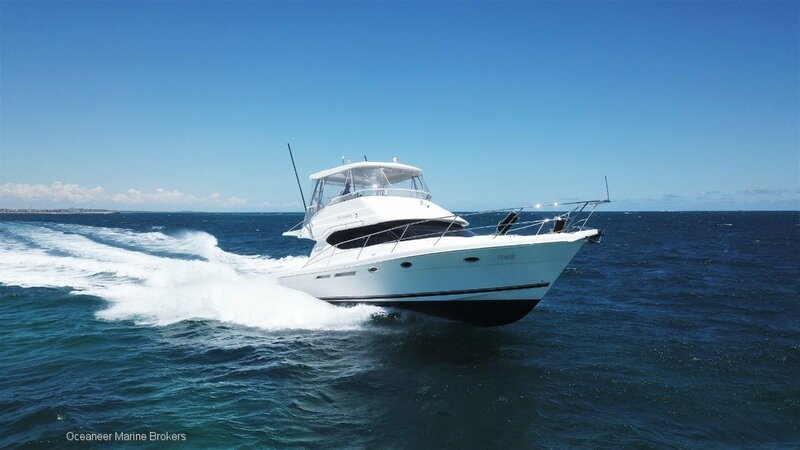 The flybridge is very impressive with large lounges for guests and comfortable helm seating for the skipper. 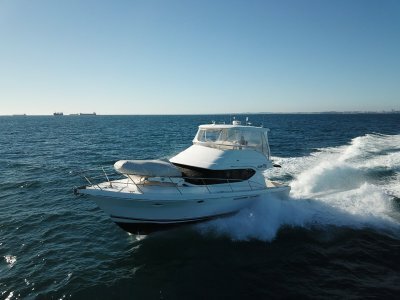 The boat really benefits from its wide beam and the aft positioning of the motors and IPS system. The IPS system has been meticulously looked after and the current loving owners have reported no faults over their years of ownership. Don't knock it till you try it! Consider this over a Caribbean 40 or Riviera 40 and have change left over! Aft galley with laminate flooring keeps the saloon carpet tidy and free from traffic. Maritimo DNA showing throughout the interior of this vessel. Large fridge/freezer in Galley, Ice box in Cockpit, Bar fridge in flybridge. 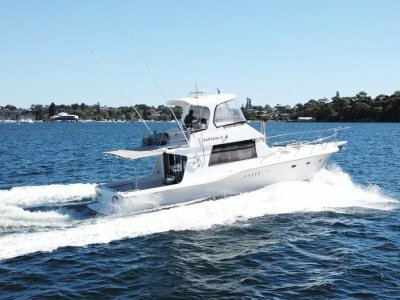 Book an inspection on this wonderful Australian built flybridge Mustang!